You’ve made it through the rigors of offseason workouts, 7 on 7, summer workouts, and training camp. The season is finally here and everything you’ve been through has prepared you and your team for this moment. For some, it has been an amazing start with everything going exactly the way you planned. For others it may already seem like a lost cause. No matter where you may be on the spectrum, there is one thing that is undeniable. There is a momentum that is building, an invisible force that is pulling you and your team in a certain direction. As a coach and leader, it is up to you to make sure you are directing that momentum in the right way. With each meeting, each rep, and each play call you are either building or losing it. Here are three tips that will help you to continue building the momentum you need for a successful season regardless of the wins and losses. If you were to ask anyone who watched me play during my high school days, they would tell you first hand that I was never the tallest. Although I was labeled undersized, there was something that I understood early on that helped me to build the momentum that would guide me throughout my career. I knew that size, strength, speed, and even scheme could only take you so far without a commitment to the things that could not be measured. As a coach it is important to build momentum by consistently challenging your team on the intangibles of attitude, effort, leadership, and character. There is no replacement for this. When all things are equal, the intangibles will give you the ultimate competitive advantage. As the season progresses, you must remain focused on your vision and mission. That is the anchor that will keep your culture and the collective mentality of your team intact. You must be clear and consistent when communicating. Between the many distractions, constant deadlines, and daily demands it can become easy to go into survival mode. Even with the best intentions you can easily fall into the mindset of going through the motions or placing your focus on the wrong things. Has your mission become focused only on having a winning season and building your legacy? Or is it about building young athletes, leaving them better and more unified than when they started? Is it all about positions and politics? Or is it about creating leaders in every corner of your organization with a community that is dedicated to empowering each other? Either way you must have a mission that is worth fighting for and keep this at the forefront of communication. One of my mentors is Jon Gordon, a best selling author and speaker who wrote the book called “The Energy Bus”. The main principle of his book discusses the importance of embracing your journey by overcoming challenges with positive energy, optimism, and enthusiasm. No matter what happens, remember to make the most out of every moment. We only get one shot at life so you might as well approach every day as if it is a blessing, because it is. Never forget why you coach this game and the opportunity that you have to create an impact in the lives of the next generation. Enjoy the ride and build positive momentum by focusing on love and gratitude. I believe that by capitalizing on these three steps your team, your fellow coaches, and community will continue moving forward in the right direction regardless of the circumstances. 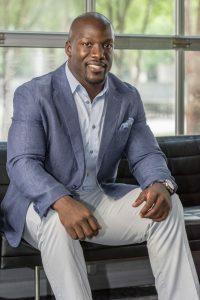 Rennie Curran is a former professional athlete, keynote speaker, author, and the CEO of Game Changer coaching. He delivers keynote presentations, workshops, and one on one coaching to help individuals, teams, and organizations. His mission is to help others improve their performance, overcome adversity, and reach their fullest potential.